Eat Drink Vegan from Eat Drink Vegan on Vimeo. Take a little more transit and eat a little less meat — two things you can do to reduce your environmental impact. For this week’s Meatless Monday feature, I’m deviating a little bit to talk about an upcoming vegan food event. Eat Drink Vegan is taking place at the Rose Bowl in Pasadena on Saturday, May 27, and it’s an opportunity to sample some of the top vegan dishes from more than 100 restaurants, food trucks and vendors around L.A. County. While the cost of food is not included with your festival pass, the pass will get you unlimited pours of kombucha, ciders, craft sodas, cold brew coffee, teas and other 21+ libations. And there will also be live music and a green marketplace selling everything from clothing to skincare. General admission passes for Eat Drink Vegan is $60, VIP tickets are $120 and child passes are $25. Entrance time for those with general admission passes is 2 p.m. VIP ticket holders enjoy early entrance at noon and a VIP lounge area. 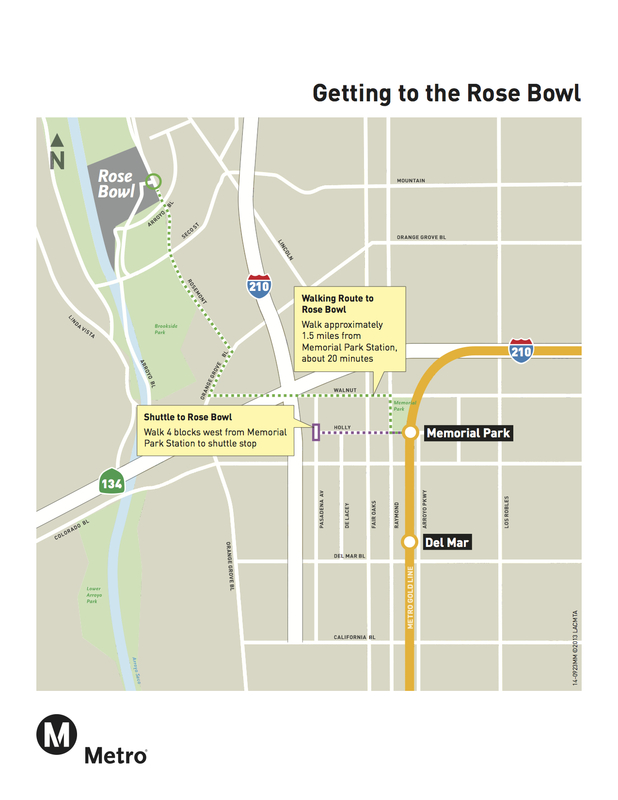 The event ends at 7 p.m.
To get to the Rose Bowl, take the Gold Line to Memorial Park Station. Once you exit, walk about 5 minutes west on Holly Street for the free Rose Bowl shuttle running from Parson’s parking lot.